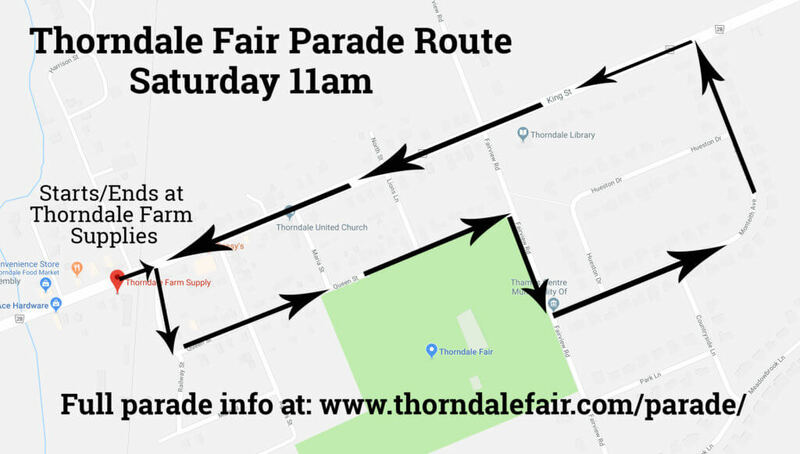 Parade leaves from Thorndale Farm Supplies, 197 King Street, at 11:00 a.m. on Saturday morning. Please fill out the Parade registration form and pre-register your entry with Amanda Elliott either by email or phone. Judging at Thorndale Farm Supplies at 10:15 am Saturday morning. 8. 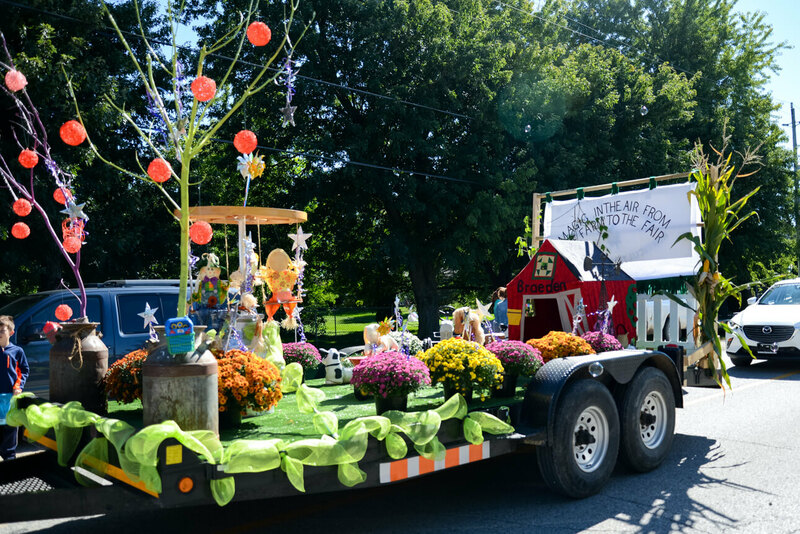 Grand Champion Float - $250 Sponsored by Elliott Grain Ltd. Please keep your float size to no bigger than a hay wagon. Each entry may only be entered into one class and all prize winners must be worthy of prize. FOR SAFETY'S SAKE: Please do not hand out nuts or candies that contain nuts. Also, do not throw candy, hand out only, to avoid children running onto the parade route to pick it up.